This entry was posted on February 21, 2011 by ScanTool.net Team. 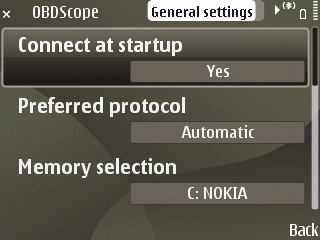 If you have a Nokia smartphone or tablet based on the Symbian OS, OBDScope is an app we highly recommend. OBDScope works in conjunction with our OBDLink MX Bluetooth adapter to turn your phone into a powerful engine diagnostics tool. We gave OBDScope a thorough test drive. Below each graphic is an explanation of functionality. 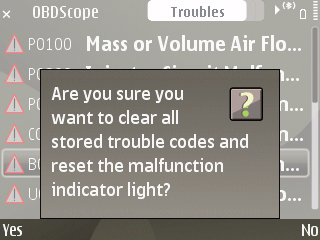 Access trouble codes with the push of a button. 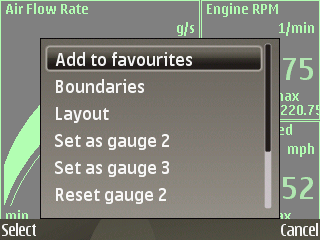 Gauge and logging setting for collection of real-time data. Great general descriptions are provided with most trouble codes. You can scroll right and read vehicle details such as VIN, emissions readiness, and more. OBDScope verifies before clearing stored trouble codes and turning off the Check Engine light. 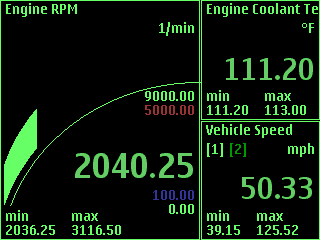 The gauges are easy to read and quick to setup. 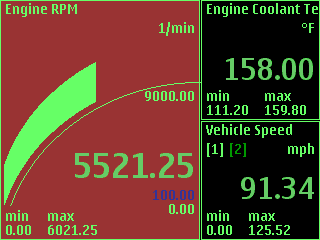 A nice feature is the ability to monitor several gauges at once. 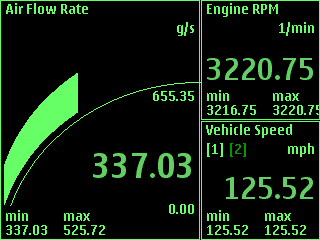 These images show a cluster of 3 gauges, but with higher resolution devices, you can view to up to 9 on a single screen. 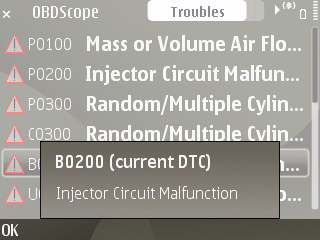 A unique and useful feature of OBDScope is the ability to set upper and lower gauge limits that will change the background color and sound n audio alarm if the condition is met. This allows for a quick indication that doesn't require you to take your eyes off the road. 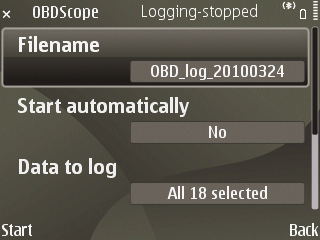 OBDScope has extensive logging features, including choice of either a web server or local log file. The local log file supports .csv format, so you can import it into a wide variety of programs for detailed data analysis. You can also choose what protocol to connect on, where to save the data, when to connect, what units to use, and more. 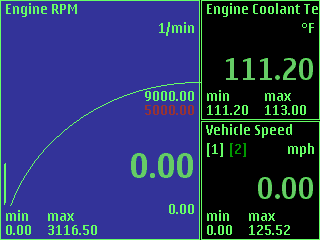 OBDScope also allows for a calculated odometer reading, calculated fuel economy, and a cool OBD trace feature. There aren't many OBD software apps for Nokia. 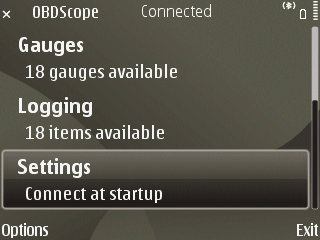 Fortunately, OBDScope provides one of the best experiences for any smartphone, regardless of operating system. OBDScope's developer is located in the European Union, and the app is priced at 9.95 EUR. 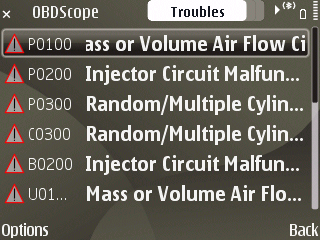 OBDScope provides a downloadable user manual, 7-day trial, and e-mail support from the developer. 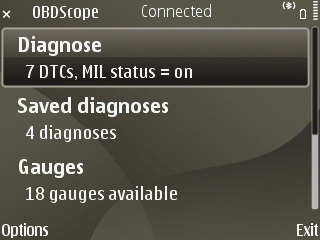 We give OBDScope high marks for performance, functionality, and diagnostic capabilities.